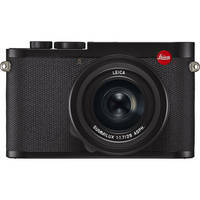 Somehow, Leica managed to improve its powerful full-frame fixed-lens camera with the Q2. Photographer David Flores took it out for a day in Chinatown, where he shows off the new features enabled by the 47.3MP CMOS sensor and Summilux 28mm f/1.7 ASPH. Lens. To find out more about this stellar release, make sure you watch the entire video. For more photography-related videos, you should stop by BandH.com. Celebrating Pancake Day with Pancake Lenses​!